Most muscle twitches are what doctors describe as "benign" events that require no medical treatment and go away on their own after a short while. Often, stress and anxiety are to blame. However, twitching muscles can sometimes be a symptom of more serious conditions that require prompt medical attention. How you treat a twitch depends on its underlying cause. You may need to try one or all of the following steps to get relief. Wait a few days to see if the twitches go away on their own. Most muscle twitches require no treatment at all. Often, twitches will come and go over a period of days and then disappear as mysteriously as they appeared. Drink more fluids. Dehydration can sometimes cause muscles to twitch. Add more water and non-caffeinated beverages to your diet. Fight the stress and anxiety that can sometimes cause muscle twitching by taking time to get a little rest and relaxation. Do whatever helps you to unwind. Take a walk, do some yoga, go to the gym for a workout, watch a favorite movie or TV show or cuddle up with a good book. Cut back on your caffeine consumption. Caffeine can help dehydrate you and make you feel more anxious. Limit the amount of caffeinated coffee, tea and soda in your diet. Use some lubricating eye drops if the twitches are affecting your eyes. Getting some extra sleep may help, too. Eat foods rich in calcium and magnesium or consider taking supplements. Dr. Andrew Weil says both minerals are key to healthy neurological function and muscle control. If you want to take supplements, Weil recommends starting with about 200 mg of magnesium a day and about 400 mg of calcium. Check with your doctor to find out if any of the medications you take may cause muscle twitches as a side effect. If medications are to blame, ask your doctor about alternative treatments. Although rare, muscle twitches can sometimes be a symptom of amyotrophic lateral sclerosis, better known as ALS or Lou Gehrig’s Disease or one of the muscular dystrophies. If the twitching continues for more than a week and is accompanied by other symptoms, consult with your doctor. 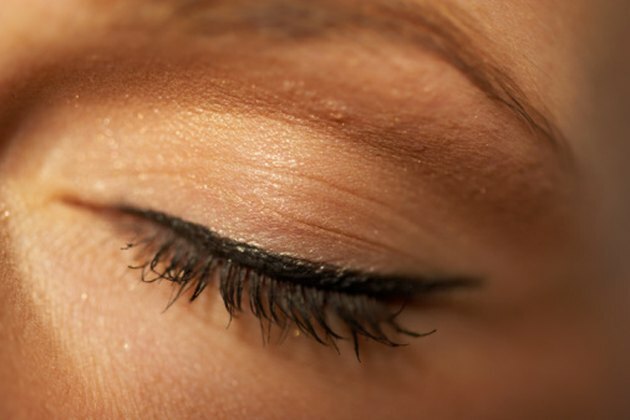 If your eyes are affected, check with a doctor if the twitches completely close your eye, your upper eyelid is drooping,the twitching involves other parts of the face or if there’s redness, swelling or discharge from the eye.